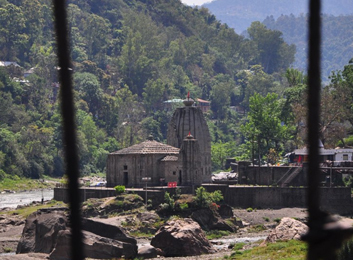 Situated at the confluence of the Rivers Suketi and Beas, the serene beauty of the Panchvaktra temple attracts a large number of visitors from across the country. The temple stands on a huge platform and is very well furnished. 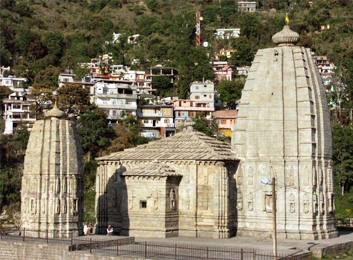 Panchvaktra temple is a supreme shrine dedicated to Lord Shiv. The temple is built in the typical Shikhara architecture style which looks astounding. Temple got its name from the five faced statue image of Lord Shiva, out of which only three can be seen when viewed from the front. It is one of the protected monuments which comes under the Archaeological Survey of India and has been declared a national site. Inside the Panchvaktra temple, there is a huge statue of Lord Shiv. The statue has five faces which depict about the different character of Lord Shiv- Aghora, Ishana, Tat Purusha, Vaamdeva and Rudra. Angora is the destructive nature, Ishana is omnipresent and omnipotent, Tat Purusha is his ego, Vaamdeva is the female facet and Rudra is his creative and destructive aspect. Panchvaktra is defined as the union of all these. The foundation date of the Panhvaktra temple is still unknown. As per the historical facts, the temple was restored under the reign of Sidh Sen's kingship (1684-1727) as it was damaged due to flood. Main porch or Mandap of the temple is supported by 4 minutely carved pillars. It's a peaceful place; tranquillity descends in the aroma of the temple. A silent meditation here can bestow the people with good mental health and purify their souls. Panchvaktra temple, no doubt, is our prestigious heritage.